I hope you all had a great Easter weekend. I know I did....despite the overwhelming amount of mimosas and chocolate that almost killed me yesterday....I really can't eat chocolate bunnies and cadbury eggs like I used to. 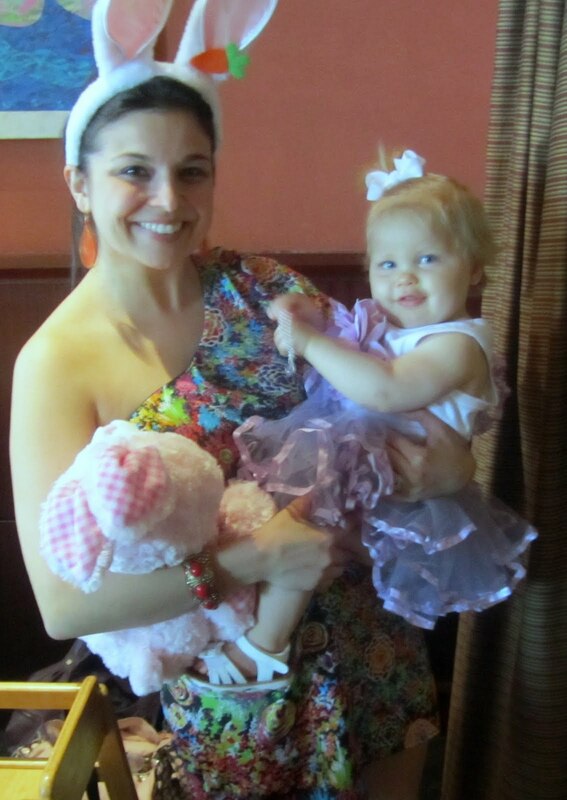 Here's a few photos from my Easter festivities ...basically, they are all of my adorable niece Brooke. She is SUCH a little doll!! 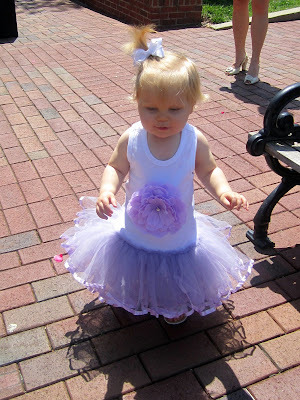 Full view of Miss Brooke's tutu outfit....This tutu flared out so much that I called it a petticoat; it was hilarious! Me with my Brooke at brunch. Yes, I am 28 and I wore bunny ears in public on Easter Sunday. What can I say, I like to celebrate! Mr. Fo and I...check out his pastels. 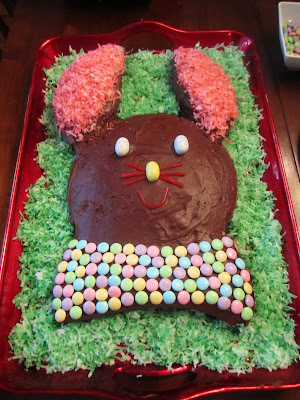 After brunch we had bunny cake...I had part of the bow tie, and it was delicious. Brooke had a mid-day outfit change into a denim romper...It matched the the purse I gave her for Easter. 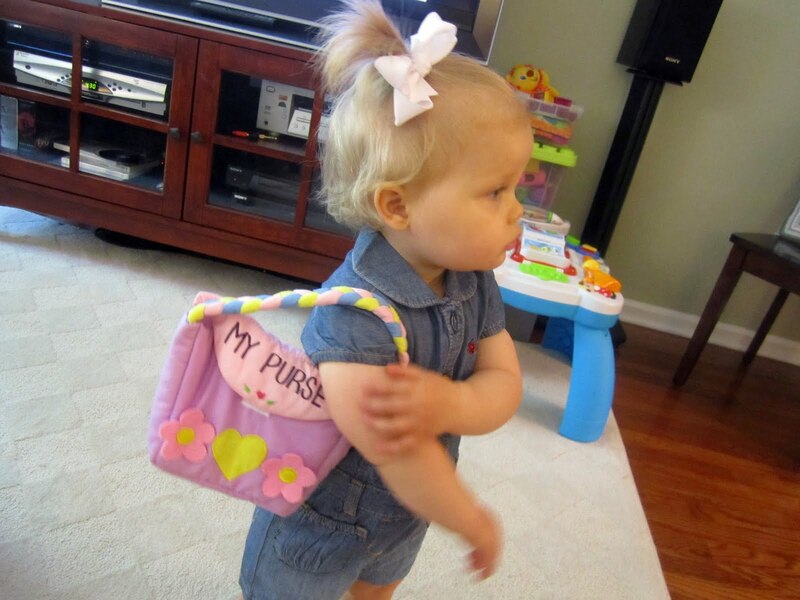 How CUTE is this purse....it says... "MY PURSE," if you can't really see it. Love it. Finally, one more Brookie pic from a family photo shoot they had a few weeks ago. Tell me that this pic should not be entered into a cute kid contest!!! 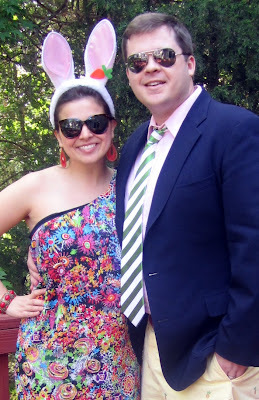 Hope you had as great an Easter weekend as I did! I am planning lots of fun posts for the week, including party tips for celebrating the upcoming Royal Wedding! 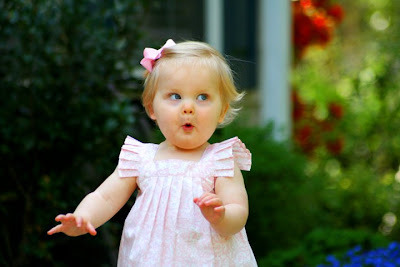 omg cuuuuute, she is out of control precious!